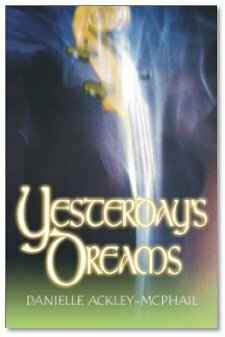 Danielle wrote the book "Yesterday's Dreams", a fantasy book dealing with the things we acquire and how as those things depart from us, they take our impressions with them as well. The interview gave some great insight to a first time author, and tells her almost unbelievable tale of getting published. Listen to the show for more information. You can " buy Yesterday's Dreams" at Amazon.com. More information is available on Danielle on The Author's Den. New Music ? Check out Scary Kids Scaring Kids and their new release, Changing Priorities. Pirates of the Caribbean ? The Movie? Superman vs. Batman or Superman V? And why Keanu? More on Harry Potter II and the fifth book. Batman -- The Musical. What will Tim Burton think of next?